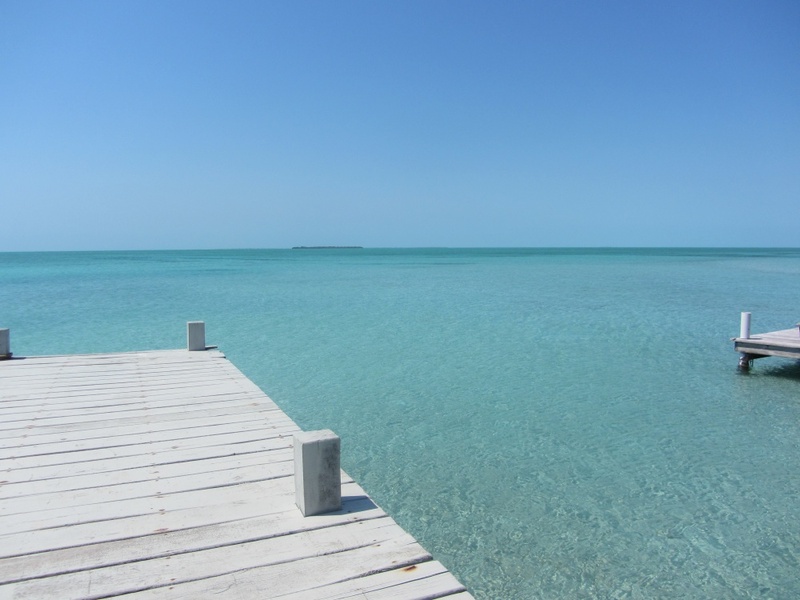 Home » Belize Travel Blog » Around AC » Grand Belizean Estates, Ambergris Caye: An Afternoon at the Beach Or…What’s Really There? 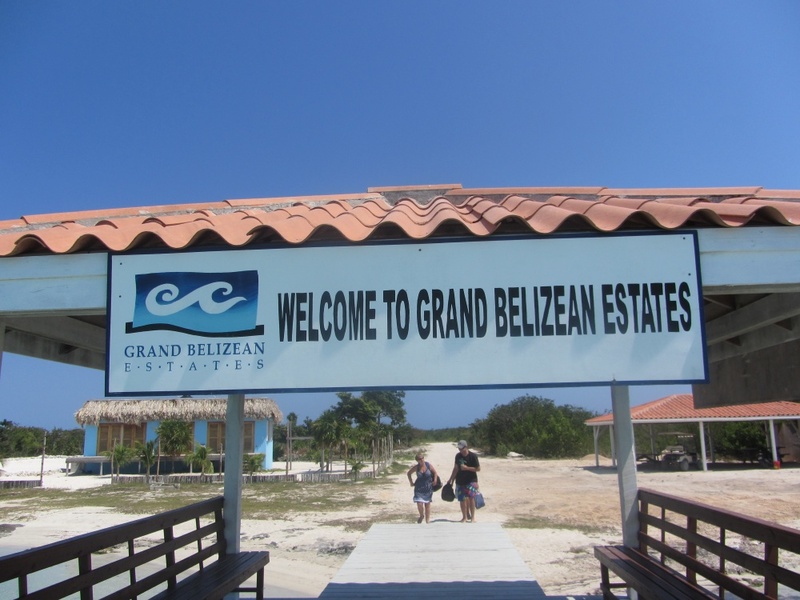 Grand Belizean Estates, Ambergris Caye: An Afternoon at the Beach Or…What’s Really There? 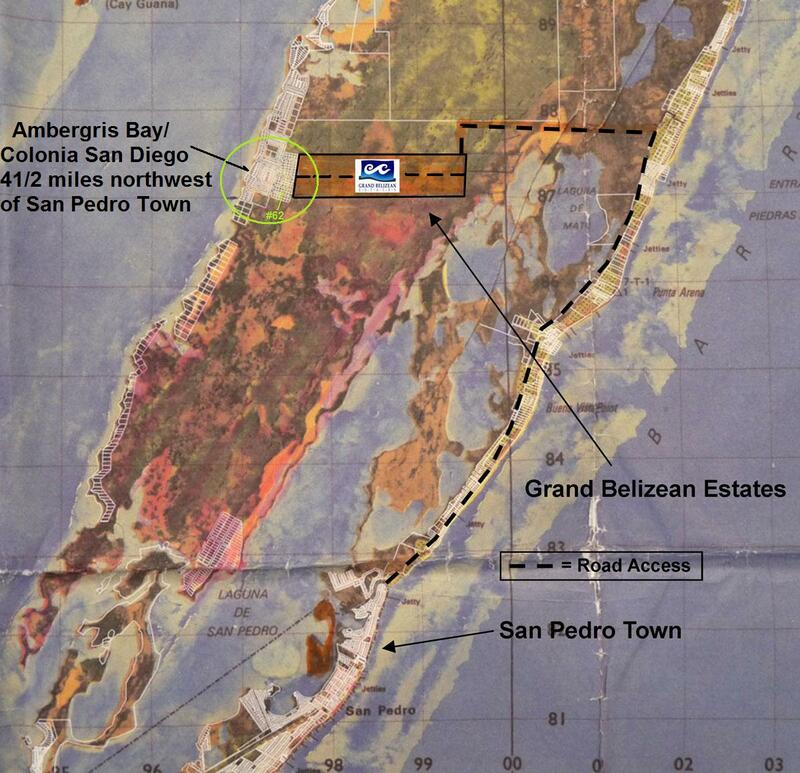 For a few years, the Grand Belizean Estates was a development on Ambergris Caye that we heard tons about. A HUGE subdivision on land (though that term has been much disputed) a bit off the beaten path. 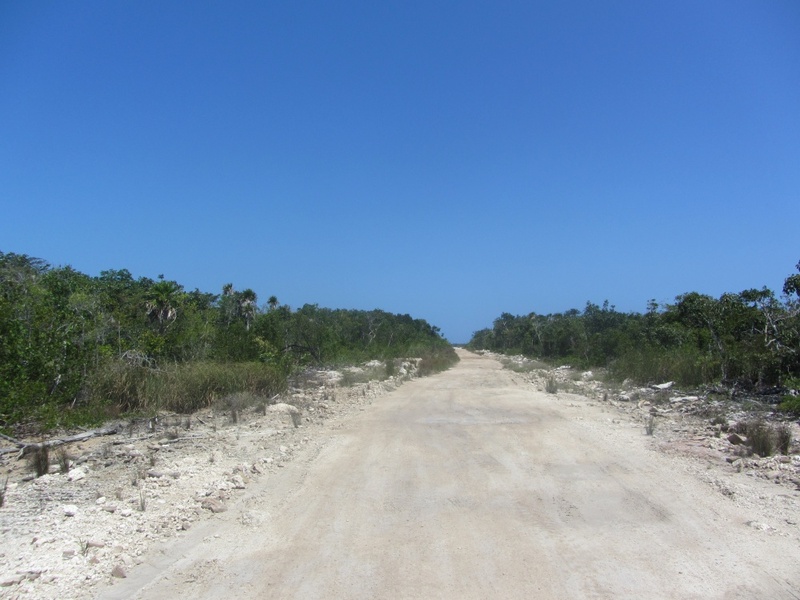 Here is a picture I found on mlsinbelize.com to show the location. The black dotted line shows the 9 plus mile drive up there. The thin area on the right (along the ocean side) is where almost all of us cluster. I’m not exactly sure why this is the best map that I can locate. 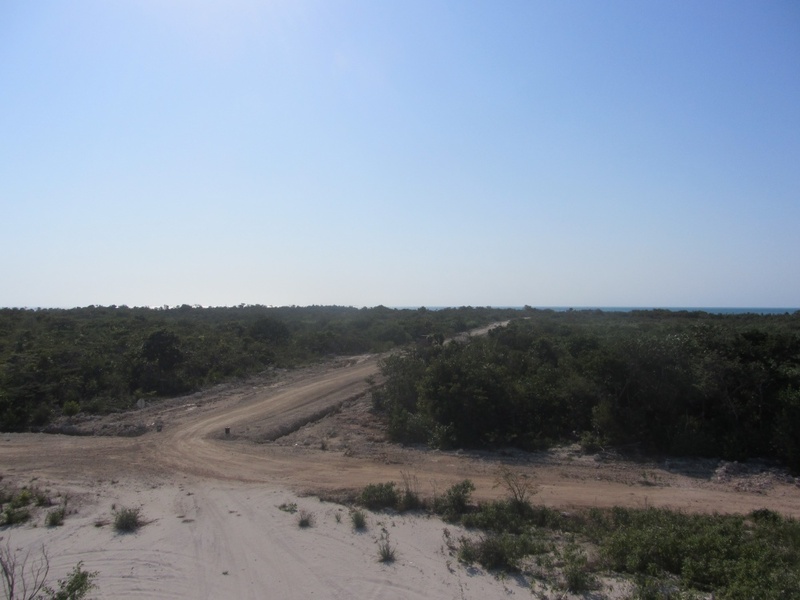 The GBE team used to have a booth in town, at fairs and festivals, promotions in the paper and in the news…you could buy a plot of land on THIS ISLAND for a few hundred dollars a month. But now it seems like it has been radio silence. What’s going on with this massive project? (I won’t even ask the questions like “where did the money come from?” or “when are utilities coming?”…it’s just too overwhelming.) According to the website, most of the units have been sold. Maybe that is why things have been quiet? 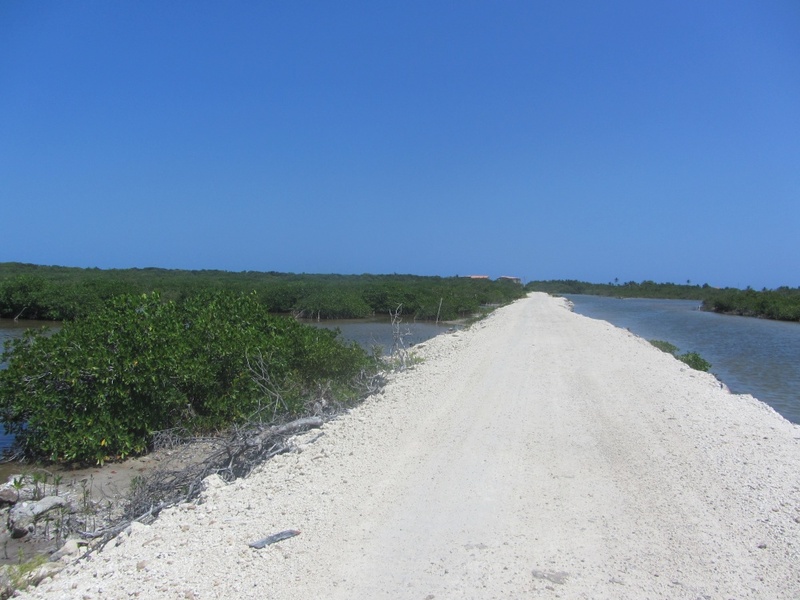 I took up a trip up there with friends to check out the lovely beach on the west side of Ambergris Caye (NOT part of the subdivision) and to take a look around, It was my first trip there. Let’s pray these mangroves stay as pretty as they are today. The cute little black ducks sure seem to enjoy the area. After a few miles, you reach the grand estates. (I enjoy calling this stretch of lands “The Estates” very much.) There are stop signs on empty roads and markers for each plot of bush. Some of the land is above water, some is quite swampy despite the fact that it hasn’t rained in a while. There are also huge telephone/electricity poles all along the roads leading to the subdivision that look new…but no wires yet. 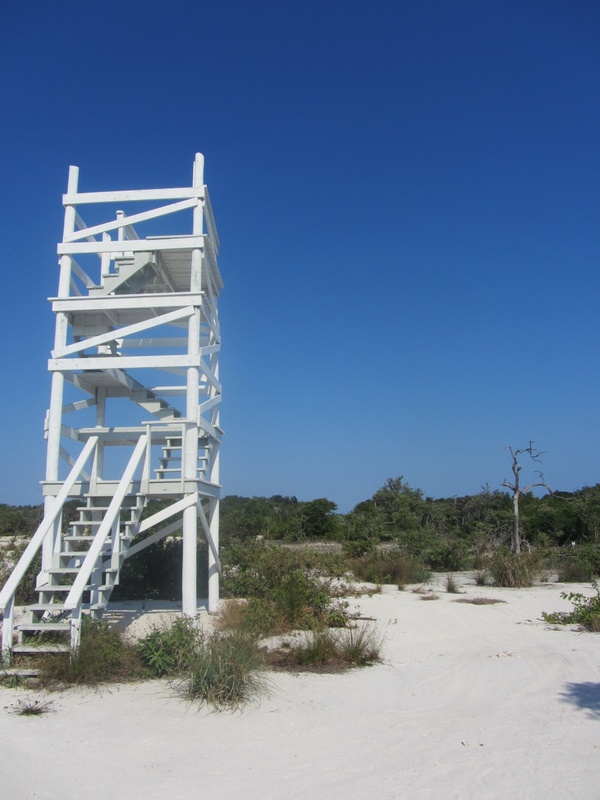 As we got closer to the lagoon (and the edge of the subdivision), there was a look-out tower begging to be climbed. The view over the Estates…there is one structure that looks completed and another one being built right now. But otherwise? Nothing. And the road towards the water. It was very very quiet…lovely except for this barge, the Miss Benita, scraping and loading sand and gravel the whole time. Ugh. It was all being trucked to the one house building site…apparently a HUGE amount of dirt needs to be shipped in for construction. So that is what I saw on a Monday afternoon at GBE. Not a whole lot. I have heard that the mosquitoes and sand flies can be aggressive but we had no problem. The wind was pretty strong yesterday and I think that helped. 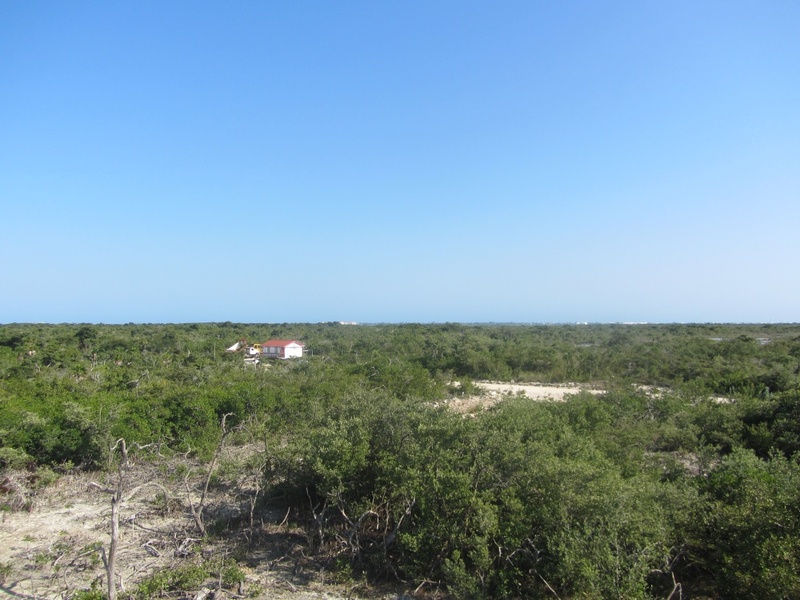 Perhaps this land is cheap enough ($20,000USD according to the site) that you will be willing to wait a while before you have town water or sewage or even a grocery store or a neighbor? Who knows. My guess? That could be quite some time. Always buyer beware in all circumstances. But for many alea iacta est. We watched this area with interest from 2010 until just recently as it is about the best place to ride bikes on the island, so we rode it many times. The power poles are new in the past year, yet still no power. 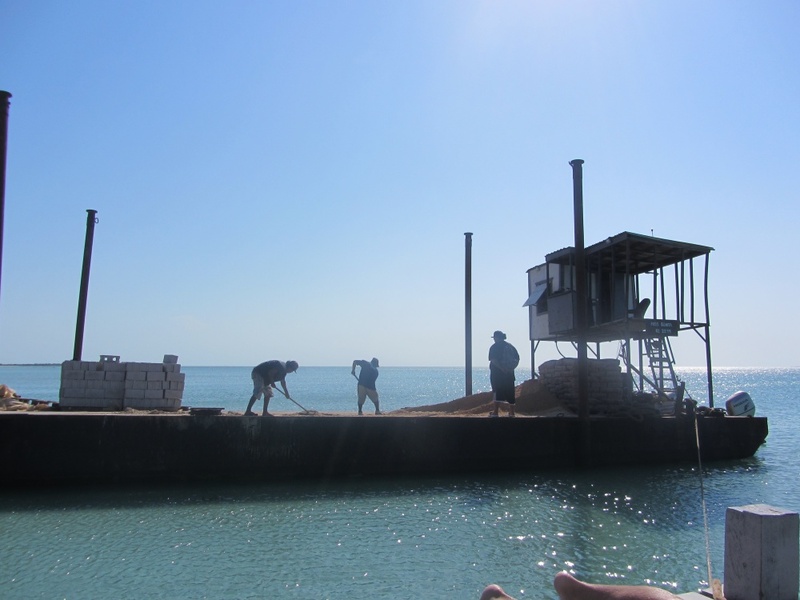 There is new dredging going on on the northeast side of the development to obtain fill for some of the lower, wetter areas that makes me sad for the mangroves. 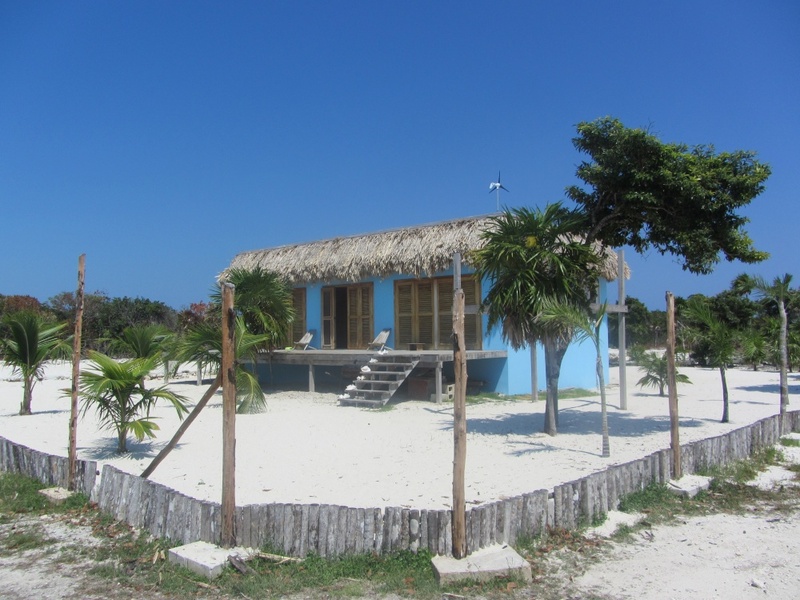 The attractive blue house in your photo as well as any thing being built or filled along the lagoon are part of a different development — not GBE. We actually met the owner of the blue house once over a year ago when their dogs came out to “greet” us on our bikes. Very nice guy. I assume he and his wife (Jason and Sabrina, I believe) are still the owners, though I haven’t actually seen them in a long time. They were and are living “off the grid”. I echo everything you said in this post. I feel very grateful we didn’t buy there. These lots require a LONG timeframe. And if you think there are some wet ones now, go back during rainy season! seems more like a 10+ year investment.